Human Rights Activist News Agency (HRANA) – After spending two days in prison, poet and former political prisoner Mostafa Badkoobeyi was conditionally released pending trial. Badkoobeyi was arrested November 5th after being summoned to Branch 3 of the Evin Prison Prosecutor’s office for interrogation. Earlier, on October 27th, he was given five days’ notice to present himself there, under threat of arrest for failure to appear. His writ indicated no reason for the summons, a source close to Badkoobeyi told HRANA. His family’s inquiries have thus far been unsuccessful in extracting an explanation from authorities. 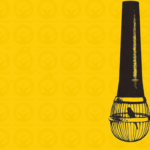 Following the highly-disputed 2009 Iranian presidential elections, Badkoobeyi’s poetry, critical of former president Mahmood Ahmadinejad, led to his arrest and an 18-month prison sentence. 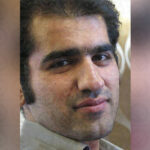 He went to Evin Prison on November 21, 2012, where he spent less than a year before being released. Human Rights Activists News Agency (HRANA) – On the morning of November 5th, Masoud Kazemi, journalist and editor-in-chief of the monthly magazine “Sedaye Parsi,” was arrested in his home by security forces and transferred to an undisclosed location. Upon inspecting his home at the time of the arrest, agents confiscated some of Kazemi’s personal belongings, including laptops, hard drives, and USB drives. Close source Shima Tadrisi confirmed the news of Kazemi’s arrest in a short note, writing, “His neighbors said that some people entered his home and then took Masoud away with them.” It was not clear to the neighbors which agency had sent them, she said. Kazemi tweeted the day before his arrest about corruption in the Ministry of Industry, Mine and Trade. As of the date of this report, no further information was available on his location or the reasons behind his arrest. 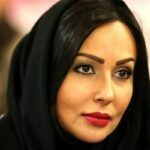 Human Rights Activist News Agency (HRANA) – On October 6th, Judge Mashallah Ahmadzadeh of Tehran Revolutionary Court Branch 26 sentenced civil rights activist Leila Mir-Ghaffari to a two-year prison sentence, suspended over three years, for having pointed to a picture on the wall. Mir-Ghaffari’s attorney Mohammad Hossein Aghasi explained to HRANA that her conviction of “insulting the supreme leader” hinged on a single moment: when she voiced criticism of foreign aid to Lebanon and Syria whilst pointing a “finger of blame” to a picture of the Supreme Leader Ali Khamenei, whose image overlooks the entrance to almost every public building in Iran. Mir-Ghaffari was initially detained on October 2nd for defending the “Girls of Revolution Street,” a movement that gained international attention through photographs of its defenders de-veiling in public places in protest of mandatory head coverings. Morality court ordered her to pay a fine of 32 million IRR [approximately $250 USD], and she was released on bail the next day. 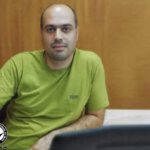 On June 13, 2018, HRANA reported on a summons from the Tehran Appeals Court to review the sentencing of a number of civil activists, including Mir-Ghaffari, who had been issued 91 days’ imprisonment and 74 lashes each. 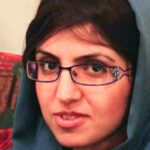 Judge Farshid Dehghani presided over their preliminary trial on February 9, 2016, in Tehran Criminal Court No. 2, Branch 1060. 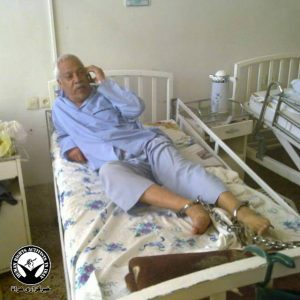 In November 2016, Mir-Ghaffari was arrested with 17 others for staging a peaceful gathering across from Evin Prison. Authorities sent the women protestors to Gharchak Prison and the men to Evin. Charged with “disrupting the public peace,” they were eventually released on bail of 500 million IRR [approximately $4000 USD]. 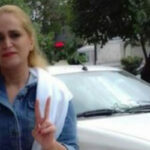 Her co-arrestees were Reza Makeian (Malak), Hashem Zaynali, Simin Aivazadeh, Ehsan Khaybar, Abdulazim Arouji, Mohsen Haseli, Mohsen Shojaie, Azam Najafi, Parvin Soleymani, Sharmin Yamani, Sala Saie, Arshiya Rahmati, Massoud Hamidi, Ali Babaie, Esmaeil Hosseini, Farideh Tousi, and Zahra Moddareszadeh. Human Rights Activists News Agency (HRANA) – Before it could assemble for the first time in 12 months, the National Front of Iran again had to cancel a meeting due to threats of detainment from security forces, who have been impeding the group’s gatherings for the past three years. The political group had intended to hold leadership elections on Monday, October 15th in the home of one of its members. 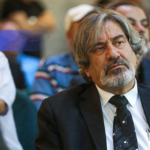 A close source told HRANA that the elections were scheduled to fill the position of late central council chairman Adib Boroumand. The National Front of Iran is a nationalist political organization that has faced restrictions to its activities since it was founded in 1949. 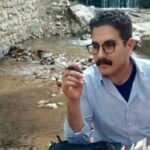 Human Rights Activists News Agency (HRANA) – On August 26, 2018, Islamic Revolutionary Guard Corps (IRGC) Intelligence forces arrested author and satirist Kiyumars Marzban in his home, confiscating several personal items including his mobile phone and laptop. Last year, Marzban, 26, came back to Iran after eight years abroad to visit his ailing grandmother. While he entered the country without event, Branch 1 of the Evin Prosecutor’s Interrogation office opened up a case file and arranged for his arrest within his first year back home. While Marzban alleges he never traveled to the U.S., a state-affiliated news site has accused him of “Networking in Iran” on contract with American partners. The same news site accuses Marzban, who also teaches art, of entering Iran with the intent to sensationalize and divide the community with his classes. As of the date of this report, no further information was available about the reasons for Marzban’s arrest. Human Rights Watch revealed in a press release that he has not been allowed to visit his family yet. Kiyumars Marzban began his career with filmmaking in 2005. 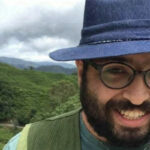 By 2009 he had produced eight short films and left Iran to develop his portfolio in Malaysia. Shortly afterward, via Facebook, he launched the world’s premier Persian-language comedy podcast, called “Radio Sangetab” (Sangtab, the name of a village in northern Iran, is also a cooking method using hot stones). His works include “Kham Bodam Pokhte Shodam Balke Pasandideh Shodam” (I was raw, I became ripe and rather pleasant) and “Aziz Jan” (Dear darling).